Rate Of Coastal Wetlands Loss Has Sped Up, U.S. Study Says : The Two-Way The U.S. lost an average of 80,000 acres of coastal wetlands from 2004 to 2009, according to recent government data. In a recent period, more than 70 percent of the estimated loss came in the Gulf of Mexico. 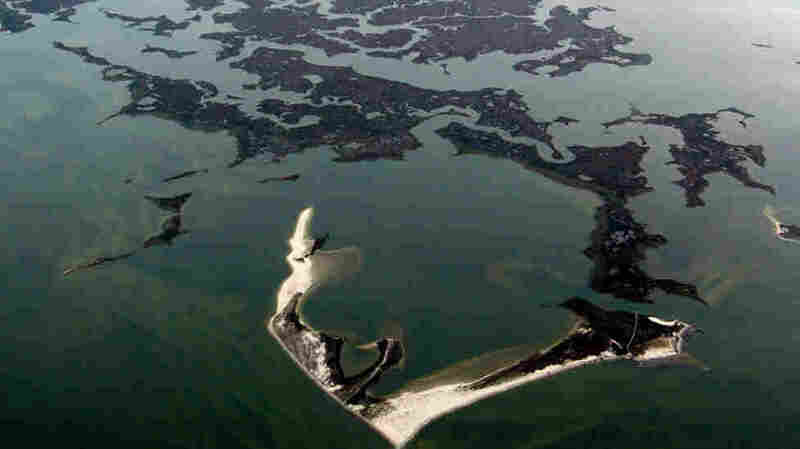 Saltwater wetlands that include marshes and shoals on Virginia's Atlantic coast. U.S. coastal wetlands losses were 25 percent greater from 2004-2009, according to a recent federal study. The figures come from a recent report titled Status and Trends of Wetlands in the Coastal Watersheds of the Conterminous United States. For their study, researchers examined 2,614 plots that were chosen at random, with each plot representing 4 square miles. The report also notes that some coastal wetland gains were seen in the coastal watersheds of South Carolina, Georgia and parts of central Florida. The causes for the wetlands losses range from tree farming to rural and urban development to powerful storms like those that have obliterated wetlands in the Gulf of Mexico, turning them into open water. In the U.S., most of the coastal wetlands are freshwater — about 34.6 million acres, according to the report, compared to 6.4 million acres of saltwater wetlands. Wetlands are a vital part of coastal ecology, supporting fish and other wildlife. They improve water quality by filtering runoff; wetlands are also crucial to protecting coastal regions from erosion and flooding, particularly during strong storms. Wetlands are also an economic engine for the seafood and tourism industries. "Wetland types found in coastal watersheds include salt marshes, bottomland hardwood swamps, fresh marshes, mangrove swamps, and shrubby depressions known in the southeast United States as 'pocosins.' Coastal wetlands cover about 40 million acres and make up 38 percent of the total wetland acreage in the conterminous United States. Eighty-one percent of coastal wetlands in the conterminous United States are located in the Southeast."